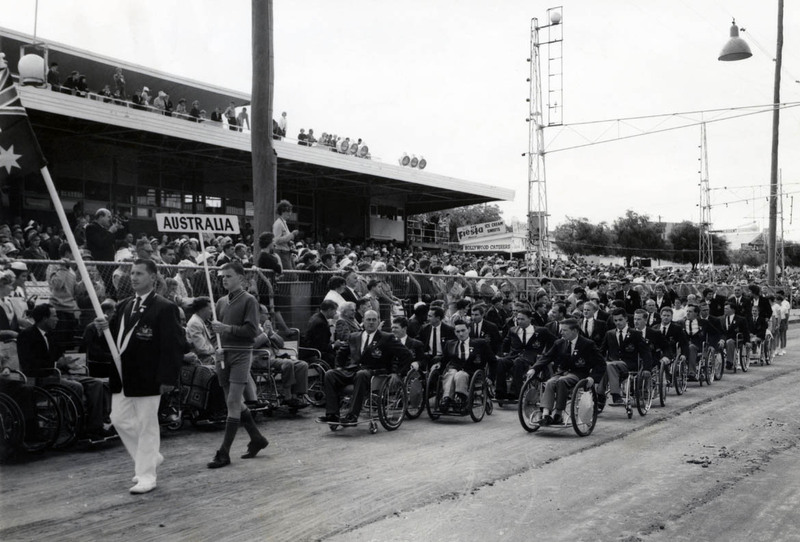 Discussions for the Perth Commonwealth Paraplegic Games began even before the commencement of the Rome Paralympics in 1960. The goal of the Commonwealth Paraplegic Games was to create the first competition for wheelchair athletes from countries of the British Empire. Commonwealth countries were approached to compete, with athletes in attendance coming from England, India, New Zealand, Northern Ireland, Rhodesia, Scotland, Singapore and Wales. Countries were persuaded to compete by the promise that the organising committee would pay for all costs once the teams arrived in Australia. The only major Commonwealth country not represented was Canada, which decided not to attend. In total, 89 athletes competed. Sir Ludwig Guttmann and Joan Scruton, who was Guttmann’s assistant at the Spinal Injuries Unit at Stoke Mandeville (and later became Secretary General for the International Stoke Mandeville Wheelchair Sports Federation) were in attendance, ensuring the link between the Commonwealth Paraplegic Games and Stoke Mandeville. The Opening Ceremony was a magnificent spectacle with a crowd of 2,500 witnessing demonstrations by the Army Band, Guard of Honour and Mounted Escorts on white horses, and the wheelpast of athletes preceded by school children carrying the flags of the respective countries. The organising committee in Perth took into consideration the problems experienced at the Rome Paralympics in regards to accessibility and made sure that the accommodation was on the ground floor in a much more wheelchair-friendly environment. Swimming events were very popular. Guttmann commented that the crowds on each of the two-day swimming competition, which reached 3,500 and 5,500, were the largest crowds ‘to attend a paraplegic sports meeting anywhere in the world’. In conjunction with the swimming events, there were exhibitions by able-bodied athletes in water polo, diving and swimming, with champions Dawn Fraser and Murray Rose in attendance as part of their training for the British Empire and Commonwealth Games.